In this video, Hethir Rodriguez shares how to tell if you are ovulating, or not (anovulation). And if not, what you can do for your fertility. Learn about tools like Fertility Charting and tracking cervical mucus that can help you can see if you’re ovulating, as well as when you ovulate in the menstrual cycle. A lot of women think they’re ovulating for various reasons. While we highly value being in tune with one’s body, fertility and a woman’s ability to understand the signs of ovulation – increased libido, labia fullness, one-sided lower abdomen twinges, lower abdominal pressure mid-cycle, changes in cervical mucus, etc. – these signs plus intuition and instinct aren’t perfectly reliable and may not be accurate. Women struggling to conceive truly need to detect the exact date of ovulation with certainty to maximize chances of conception. This video was shared live! Download the Instagram App to watch our live broadcasts! OPK* testing – OPKs need to be use every day around when you think you will ovulate. They can be helpful, but also costly and they do not show the exact ovulation date, rather the LH surge that indicates ovulation may happen 24-48 hours later. Fertility monitors – Similar to OPKs, but you put the strips in a small machine that can also help track your cycle history. Monitors can be really helpful if you have the money and if OPK’s are driving you nuts. Fertility Charting Basal Body Temperature (BBT) – This involves taking your BBT every day at the same time and tracking it on a chart or Fertility Friend. BBT charting can help you see: luteal phase length and if there is a defect, low progesterone, thyroid health issues, if you have ovulated or not and if you are pregnant. The negative is that you don’t know you ovulated until after the fact, so it may take a cycle or two of charting to learn when you ovulate exactly. Cervical mucus (CM) – Cervical mucus changes throughout the menstrual cycle and nearing ovulation it will become what we call fertile or egg-white cervical mucus. While women want to see this change, one can have egg-white cervical mucus and not ovulate. So, this is a tool to combine with another more reliable one. Follow a Fertility Diet as diet is the basis of health! Consider the 21 Day Fertility Diet Challenge for an easy place to start. Take a whole food multivitamin. Increase circulation to reproductive organs with natural therapies like fertility massage and Fertility Yoga. Yoga is fantastic for increasing circulation throughout the body. Castor oil could be incorporated as well. And daily exercise…get moving! Learn more about herbs like Vitex, Maca and Tribulus. Our guide 5 Simple Ways to Promote Regular Ovulation shares about these herbs and more. Reduce stress for your health! Believe it or not, our bodies are equipped to prevent conception from occurring during times of stress. 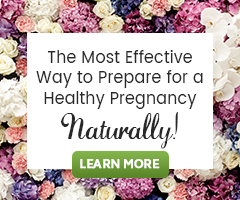 Address the fertility health issue causing anovulation. There are specific programs for women where anovulation is caused by PCOS or poor ovarian function, etc. *Although Hethir mentions we sell OPK Tests Strips at Natural Fertility Shop, we no longer do. They are widely available online or most major pharmacies.